From pristine beaches and vineyards, to amusement parks and snow-capped mountains, the Golden State offers a wealth of experiences for everyone to enjoy. Whether you’re a visitor or a resident, there’s always something to discover in California. From the mainstream to the completely unknown, this California bucket list contains 50 different items that you must experience before you die. How many experiences have you already checked off of this California bucket list? Which ones still remain? *This post contains affiliate links. Have you ever seen rainbow-colored sand? Well, you can at Fort Bragg’s Glass Beach, which is piled high with multicolored sea glass. Who knew pollution could be so beautiful? Because Maine isn’t the only state that boasts incredibly scenic lighthouses! Seek out breathtaking scenery, solitude, and a sunset at the Point Reyes Lighthouse. 20 minutes north of the Point Reyes Lighthouse lies another historic landmark that’s easy on the eyes: the Cypress Tree Tunnel. Don’t forget your camera; you’ll certainly need it! Most of the time Death Valley looks, well, dead. But about once per decade, when the weather patterns are just right, the valley and surrounding mountains erupt with a spectacular show of yellow, pink, and purple wildflowers. Make a point of seeing this rare super bloom once in your lifetime! This 68-acre coastal attraction offers expansive views of the ocean, Southern California’s rugged coastline, and even the occasional cliff diver. These jagged cliffs paired with gentle pink sunsets serve as a haven for photographers and nature lovers alike. California produces some of the best wine in the world, if not the best. For oenophiles, it would be a shame not to visit the famed Northern California vineyards of Sonoma and Napa. Consider booking this Napa and Sonoma Wine Country Tour! Victoria Beach’s historic Pirate Tower, paired with its azure waters, white sand, rocky tide pools, and jagged cliffs, is a must for all California residents and visitors alike. Stay at the Surf and Sand Resort or the Montage Laguna Beach. You can find great deals on all California accommodations here! Camping – or better yet, glamping – is surely the best way to experience Big Sur. Different campsites are scattered throughout the area, as well as glamping resorts, complete with luxury yurts and farm-to-table restaurants. Consider glamping at the Ventana Inn & Spa! The 16-mile roundtrip hike to Half Dome is not for wimps. But if you’re up to the challenge, the triumphant feeling of finally summiting Half Dome and looking out over all of stunning Yosemite will be worth the effort! Click here to find great deals on lodges, hotels, campsites, and more, within Yosemite National Park! If you have limited time, then consider this Small-Group Yosemite Tour from San Francisco! This three-Michelin-starred restaurant and foodie mecca is the absolute best restaurant in California. If you have a couple hundred dollars to blow on the best fine-dining experience of your life, The French Laundry is a must. Few sights will take your breath away more than Monterey Bay’s humpback whales surfacing, and even jumping out of the ocean. Sightings aren’t at all uncommon, so prepare yourself for a real treat! Oh, the famed Hollywood Hills! 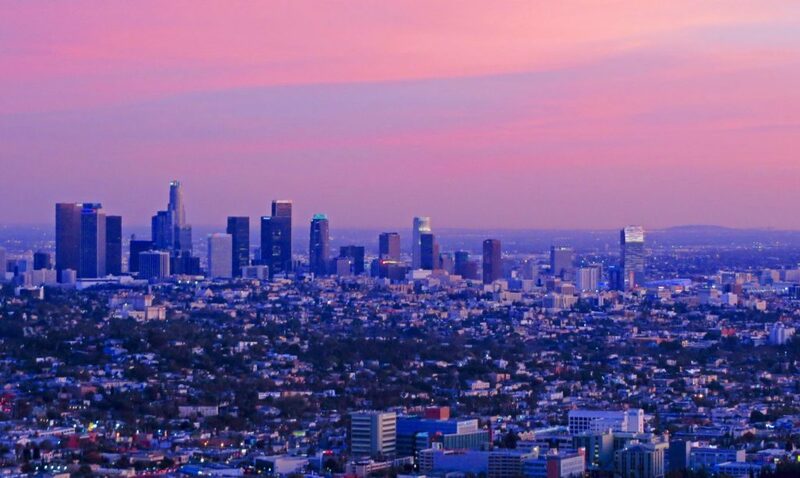 When you visit Los Angeles, can you really leave without hiking to the Hollywood Sign? Well, yeah, you could. But why would you want to? 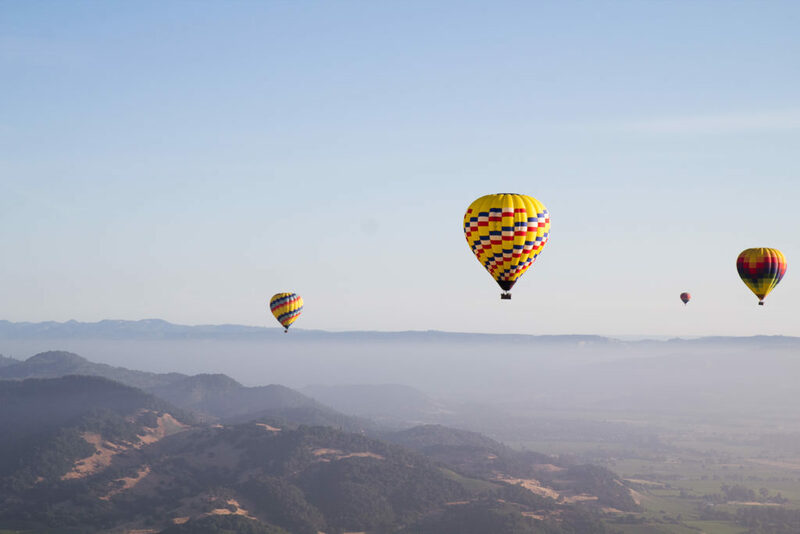 The only thing better than drinking world-famous Napa Valley wine would probably be drinking it from a hot air balloon, soaring over Napa’s rolling hills and lakes. Book this Napa Valley Hot-Air Balloon Ride which includes a sparkling wine brunch! The Golden Gate Bridge is the most iconic landmark in all of California. If you really want to experience the engineering feat that is the Golden Gate Bridge, why not bike across it? Plus, panoramic views of the Bay Area will make for a nice accompaniment. From Texas barbecue and gourmet ice cream, to Korean-Mexican fusion and cheeseburgers, if you want it, you can probably find it on a Los Angeles food truck. For a day of deliciousness, take yourself on a foodie food truck tour in Los Angeles. Just a quick ferry ride away from the mainland lies Catalina Island. If you want to snorkel or scuba dive with bright-colored fish and coral reefs, Catalina Island is the place to do it! The famed drive up or down Highway 1 is necessary to experience the best of California’s scenic coastlines, rugged hills, sunsets, and coastal towns. Points of interest along the way include (but certainly aren’t limited to) San Francisco, Big Sur, Carmel-by-the-Sea, San Luis Obispo, Malibu, Santa Monica, and Laguna Beach. You can find great deals on accommodations throughout California here! As its name implies, Surf City USA is the place to ride some waves. For those who don’t know, we’re talking about Huntington Beach here. For the most spectacular views of Los Angeles, head to Griffith Observatory, located on the southern slope of Mount Hollywood. From the Observatory, use the public telescopes to see the stars and ponder the universe, hang out at the café, and take in the city views. 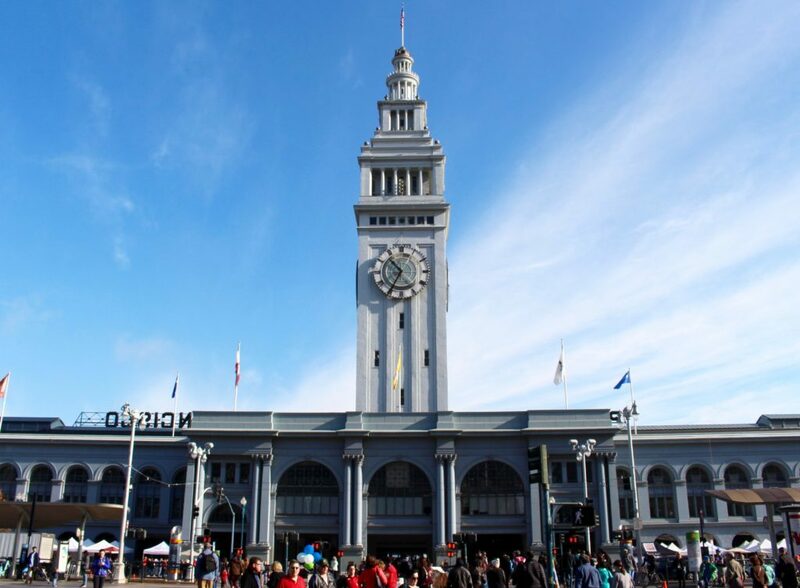 Daily, San Francisco’s Ferry Building is filled with a variety of artisanal food and specialty shops, markets, and restaurants. And three days a week, there’s also a bustling outdoor farmer’s market selling the freshest produce, handmade pastas, breads, and so much more. A foodie haven, indeed! San Diego is home to some of the greatest breweries in California, and the world. If you love beer, or just want to try something new, spend a day or two tasting different beers and touring San Diego’s many breweries! Find great deals on accommodations near all the San Diego breweries here! When you see the Redwoods in real life, it’ll be hard to believe they are actually that huge. California’s natural beauty just never stops impressing, does it? Roller coasters and ferris wheels over the Pacific Ocean? That’s a thing? It is in Santa Monica! Come get your funnel cakes and hot dogs, and enjoy the sea breeze! 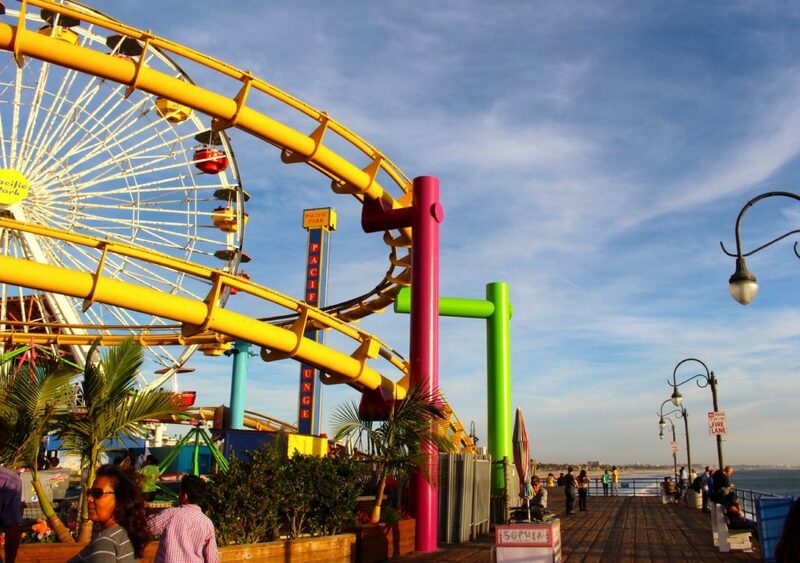 Find deals on beachy Santa Monica hotels here! This California alpine lake couldn’t get any prettier. Whether you’re a photographer, a water skier or wakeboarder, a snowboarder, or a hiker, there’s something for everyone to enjoy in Tahoe. Try finding a more beautiful place to do any of those activities; we dare you! Consider booking this Lake Tahoe Photography Tour to ensure you capture Lake Tahoe’s most stunning views — and even learn some photography tips along the way! Because, really, what says California more than a Double-Double and fries from In-N-Out? Named after Italy’s Venice comes a raunchier, more hipster, more Californian counterpart. While in Los Angeles, don’t miss strolling through the canals in Venice Beach. Enjoy a peaceful walk among the sunshine and flowers as boats float along the waterways. Sea lions are always out to play at La Jolla Cove. On a sunny day, throw on your suit and go for a swim! The McArthur-Burney Falls Memorial State Park presents the opportunity to hike, fish, picnic, and camp among California’s most beautiful waterfalls. For all you nature lovers, visiting this park is another must! Can’t afford an African safari just yet? 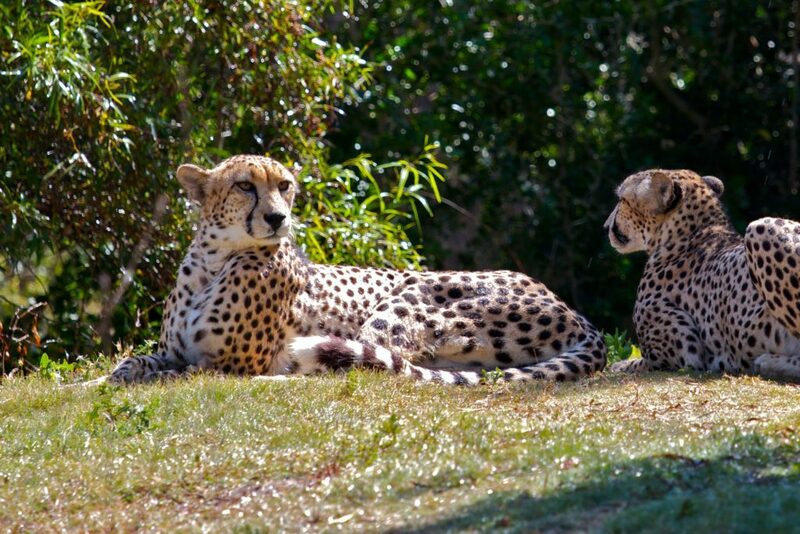 The next best thing might just be spending a day at the San Diego Zoo Safari Park, where you’ll encounter elephants, rhinos, zebras, lions, and giraffes, among many others. Purchase your tickets to the Safari Park here! Half Moon Bay is one of the most stunning stretches of California coastline. If you’re journeying on Highway 1, don’t just pass through; instead, check into a hotel and enjoy the peaceful scenery for a while. 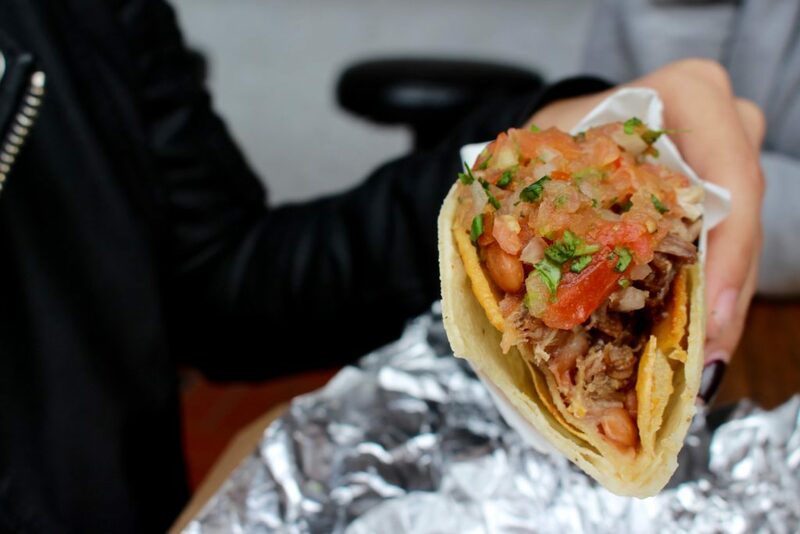 San Francisco’s Mission District is home to the world’s best tacos and burritos. Really. 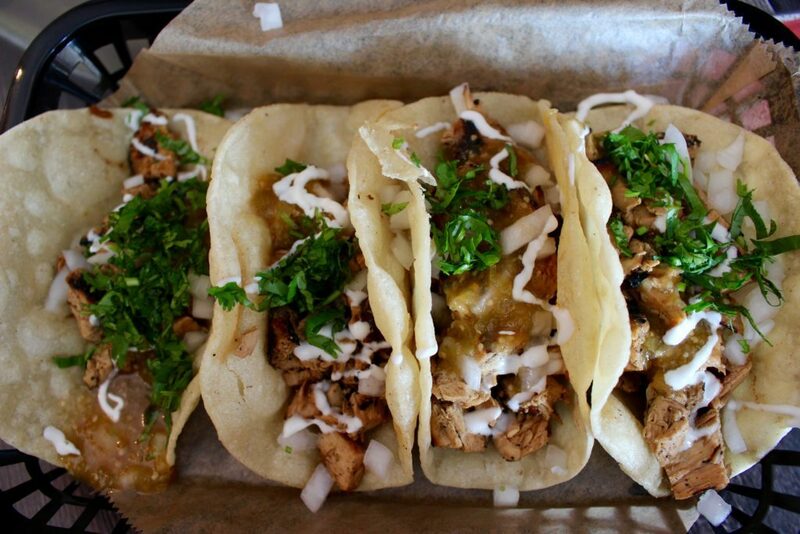 If you love Mexican food – or even if you don’t – you must try La Taqueria’s legendary food! We recommend booking this Mission District Culinary Experience! Each spring, Carlsbad Ranch’s colorful flower fields are a beautiful sight to see! Downtown’s newest contemporary art museum, The Broad, is a stunner. Though the line for free entrance is usually hundreds of people deep, the masterpieces on display are worth waiting for. Take a trip to Denmark without ever leaving California! Solvang was originally settled by Danes back in 1911, and still cherishes its Danish heritage and character today. There’s also a lot of wine tasting to do here! Find deals on Solvang accommodations here! 21 Spanish missions scatter California’s coast. If you want to catch a glimpse into what life in California was like hundreds of years ago, visit a Spanish mission! The Urban Lights sculpture is just one of the many pieces worth seeing at the LACMA. Even if you don’t visit the actual museum, make sure to stop by this iconic, photogenic Los Angeles landmark. With acres upon acres of wide open spaces, the best way to experience San Luis Obispo’s peaceful scenery is on horseback. Then wrap up the experience with some wine and cheese! Laguna Beach has to be one of California’s prettiest coastal towns. And the best way to complete a beach day is always with an incredible sunset, right? Find deals on Laguna Beach accommodation here! Trust us, you’ll want to stick around for a few days at least. The small toll necessary to drive the 17-Mile Drive through Pebble Beach and Pacific Grove is worth it for beautiful views of the rocky coast, grand mansions, and famous golf courses! If you’re looking for a little adventure, grab some friends, rent ATVs, and zoom over the sand dunes at Pismo Beach. It’s that simple! Pismo Beach is also home to a gorgeous beach resort, the Dolphin Bay Resort & Spa. Potterheads, are you ready? You can now live out your dreams of shopping in Diagon Alley, sipping pints of Butterbeer, and attending Hogwarts School of Witchcraft and Wizardry. Universal Studios Hollywood’s Wizarding World of Harry Potter is finally open! If you’re visiting LA without a car, this Universal Studios Hollywood ticket includes transportation! Get your snow gear ready! Are you skilled enough to ride some serious steeps and powder at California’s premier mountain resort? Find deals on Mammoth Lakes accommodations here! At the Monterey Bay Aquarium, experience the wonder of the sea. Over 35,000 sea creatures live and thrive at the Monterey Bay Aquarium, which showcases one of the world’s richest aquatic regions! Avoid the queues, and buy your tickets online here! Julian is famous for its legendary apple pies! Visit Julian to wander through the orchards, pick fresh fruit from the centuries-old apple and pear trees, learn to make apple cider, and of course, eat that delicious apple pie! Find quaint Julian accommodation options here! Carmel is a sleepy town, known for beautiful beaches, laid-back vibes, and awesome art. Make a trip out of Carmel-by-the-Sea by art gallery hopping! Find affordable Carmel-by-the-Sea accommodations here. This historic Hollywood theatre opened its doors in 1926. The grandeur of this theatre’s interior makes seeing any movie a true cinematic experience. Artist, Leonard Knight, spent 25 years of his life transforming an ordinary hill into a sculptural masterpiece. It’s hard not to be impressed by Salvation Mountain’s inspiring messages and bright murals! While in San Francisco, take the ferry to Alcatraz Island to tour the abandoned prison, which once held some of America’s most notorious criminals. In addition, see the West Coast’s oldest functioning lighthouse, explore the rock pools, and see the island’s seabird colony! If these 50 items aren’t already on your California bucket list, add them. If they’re already on your California bucket list, but you haven’t completed all of them, you better get started! There’s lots of California left to explore, and we’re running out of time! Over to you! What’s on your California bucket list? How many of these items have you already checked off from your California bucket list? I’m so totally bookmarking your blog! I love this post, considering I’ve always wanted to go to California but I’ve never been. But this post has motivated me to get there and do most of the things you’ve listed. Alrighty! THIS is a fabulous list! Will definitely come in handy with my trip planning for San Francisco (and hopefully other parts of California) as well! Yay! We’re glad you enjoyed it! When is your trip to San Francisco? There are SO many – and even more than what’s written in this list! I feel like i need to do all of these… right now ha!! I just did 4/5 things of this list but everything seem amaaaazing !! Especially watching the sunset at sunset cliffs natural park !! That would be an incredible trip for sure! Amazing as always!! Big sur is definitely next on my list! There really are! So many things and so little time… We gotta get on it! We have one thing to say: La Taqueria is life. I still haven’t tried In-N-Out Burger! That’s definitely on the top of my list. It seems like everybody talks about it but us Canadians are only left to wonder. One day… Thanks for the cool list! Thank you for stopping by, Miriam! I’ve done some of these things but not all. This list is amazing!!!! no, do not come here. it is terrible, not fit for human habitation. how about a cannabis holiday in colorado or the beautiful south in auguust? that’s the ticket. you’re welcome. I’m very proud to say that we’ve already done a few of these things, like bike across the Golden Gate Bridge and wine taste in Napa, but we still need a few more trips to get more checked off! We’re headed to Napa again later on this year and I’m hoping that we’ll be able to ride in a hot air balloon! This confirms it, I need to visit California! Because it’s actually illegal and you’ll get a citation? We still have a few left to check off! Hahaha… On a hot day, that is quite the challenge. I love this list! I gave myself 26.5 (I consider staying at the Lucia Lodge in Big Sur to be camping!). I’m printing it out and keeping it with the travel guides. You had about 5 places I’ve never heard of after 30 years living in CA. Great list, but for the In-n-Out, even though my daughter says I’m weird that I don’t like them… LOL. As a native Californian, I am proud to say I’ve been to and done 19 of these on your list! The most fulfilling, but not specifically on your list, was hiking the John Muir Wilderness Trail through Yosemite last Fall! Starting at Grants Point, 6 hours, 8 1/2 miles! I didn’t tackle Half Dome due to time constraints. I’ll be hitting 60yrs in September and have got much more of California to experience. I look forward to having my capable body hold up to get me to them! Fabulous!!! I’m coming to Cali for the first time this summer..couldn’t be more excited and this blog/post has compounded that…..I wanna do it all ? Oh good! You’re going to have an incredible trip! Where will you be visiting? A great variety of activities in the Golden State. It’s awesome that people can explore a touch of Spain and Denmark in various California towns. The Chinese theatre looks awesome. I think this list is great! But, you used a picture of California Adventure for #37. That is not a picture of the original Disneyland. It is the newer park. Ha, I wondered if anyone would notice that! I just love that view of the lake and California Screamin’. Maybe I should add it to the list as a twofer! Maddy, this is the ultimate California list. When I finally make it out to the west coast, I’m printing this out and taking it along with me. Great list, This makes me want to move to California! With soooo much to do just a few trips is not going to do justice! Can’t argue with that! It’s the Golden State in more ways than one, so it seems! Beautiful photography and beautiful places. Thanks, Chloe! We hope you can explore California more soon! We are kicking our calif bucket list off in a big way, crusing the 1 in a convertible and stopping at every stop we could has been by far the best. This weekend off to San Francisco, husbands bucket list, sf giants game. Then to China Town and portugeese dinner…any other suggestions?? We have plenty more articles on our website with San Francisco recommendations. Simply search “San Francisco” in the sidebar on the top right of the site. Never heard of Solvang before. Looks cool. Live in NOrthern California and Solvag s my favorite place to visit. The lavender farm,the miniature horses, olive oil tasting, and driving in the hills — great scenery and wonderful wineries. Will most likely head out from San Francisco and head North up the coast to Washington. What’s the best time of year? We were thinking May? We will probably spending an extra day in California thanks to reading this! Great info! There’s so much you can do in Northern California that it definitely warrants adding on at least another day! If you can visit during the summer months, June-August would be the best time because you’ll have a greater chance of good weather. However, May is also usually nice. Enjoy your trip! I’ve lived my entire 70+ years here, but still haven’t been to all these places. I now live on the Central Coast after living my first 50 years in Southern California. My dad helped build the original Disneyland. I’d still like to see more of the national parks and beaches here, but Paso Robles wine country and the Central Coast beaches, many of which you mentioned, have enough beauty to keep me content if I can’t get to everywhere else. Hi Barbara! Thanks for your comment. Our state sure is a beautiful one! Wow awesome list and gorgeous photos! I’m ashamed I haven’t even heard of some of these. I definitely need to catch up and scratch some of these off my list.